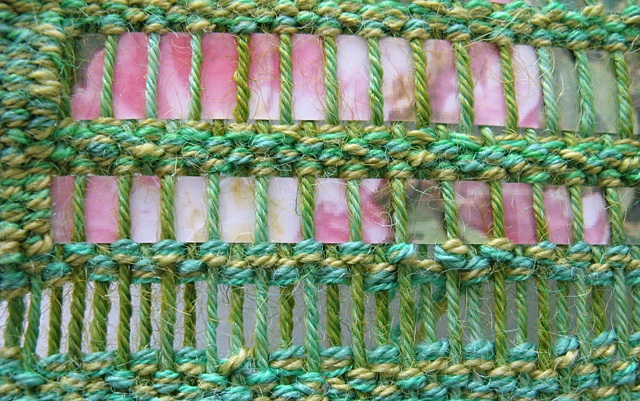 The trip provided good contrasts for weaving–traditional vs. tapestry; old tapestry vs. contemporary tapestry. 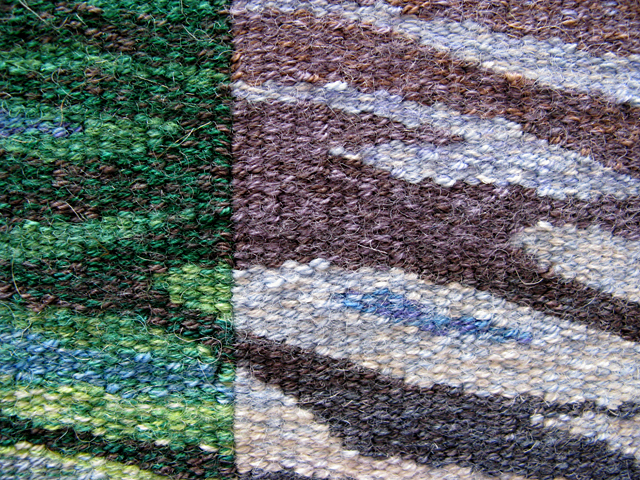 We visited two contemporary tapestry artists and, although they both do somewhat abstract scenes, their styles do differ. In addition, their methods of working differ. 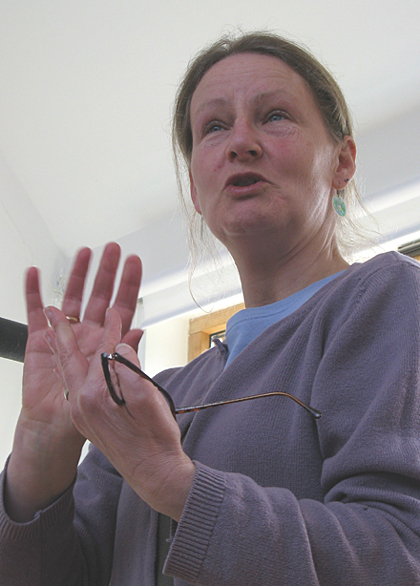 We first visited Joan Baxter, who lives in a small town along the North Sea, Brora. Actually, she and her husband live on a seven acre nature preserve next to the Brora River. It’s a lovely spot where she has her studio next to their home and he has his forge and garden behind the house. This visit was a trip highlight for me. If you’ve read my earlier post about why I went to Scotland, you’ll know that seeing one of Joan’s tapestries last summer was an inspiration to me. I was thrilled when Nadine said she had been able to contact Joan and add a visit to our tour. It was a double treat for many of us, because we also got to meet her husband and learn about his art, too. For me, it was a triple treat, because I also talked with him about his gardening. 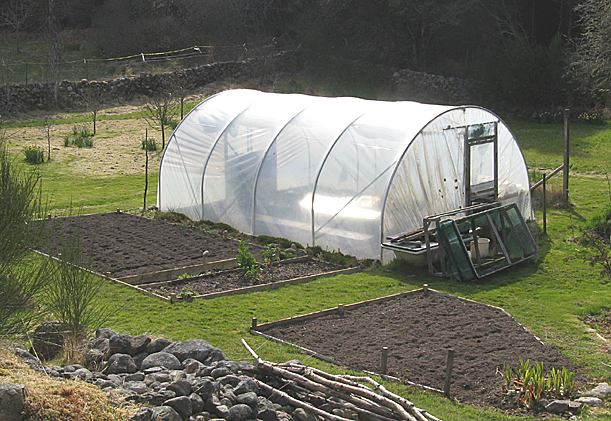 Her husband is a gardener and I was able to talk to him for a few minutes about their garden and orchard, and his use of their polytunnel. But, his real craft is that of bladesmith. He likes using salvaged materials; currently he is using Rover leaf springs for his blades. He gave a number of us a tour of his forge and explained his methods. 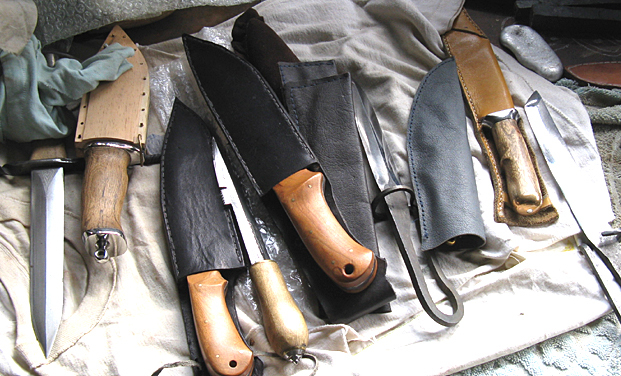 It’s hard to believe that these beautiful knives come from an old leaf spring! 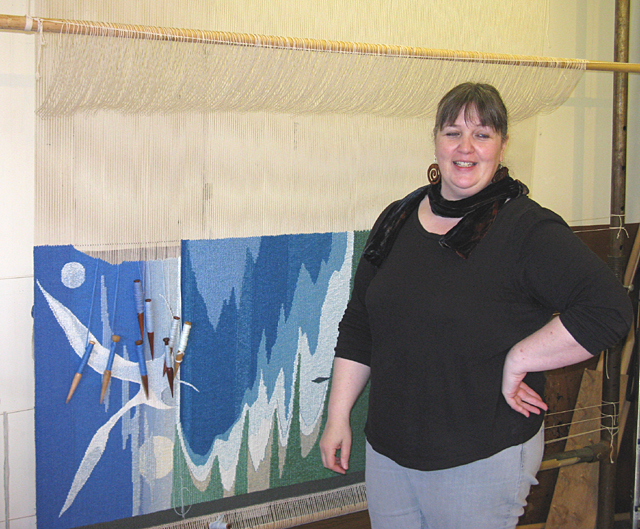 Leila Thomson lives on a remote part of Orkney, working out of her studio, Hoxa Tapestry. She uses more traditional methods, in that she plans her work out in advance and uses a cartoon. But her designs are far from traditional. She also does some pieces that are very large (one was about 8 feet high and 15 feet wide) and does some very interesting double-layered pieces that add a third dimension to them. Both of these women live in rural areas of Scotland and it’s easy to see how their work is influenced by the natural environment.